Adoption of remote deposit capture (RDC) has come a long way in the past few years. Over that time, the mobile banking revolution has fully taken hold, with smartphones becoming virtual extensions of consumers’ identities. As part of that revolution, mobile RDC (mRDC) became mainstream, and it is now a given that financial institutions offer the service to their members/customers. Many financial institutions recognize the urgency of this task. According to Celent’s 2017 report, State of Remote Deposit Capture: The Final Stretch, more than 2,600 U.S. financial institutions went live with mRDC in the last two years. Isn’t it time for your credit union to offer this critical service as well? Why Must You Offer RDC? Saves Time and Money. JPMorgan Chase, in announcing the closing of 5% of its retail branches in 2015, claimed that it realizes a 95% cost savings on every check deposited remotely, versus one processed by a branch teller. Your credit union may not realize such dramatic savings, but it is indisputable that the costs in terms of time, payroll, and branch overhead are significantly reduced when check processing is pushed closer to the end-user. Your member benefits as well. Time-strapped business owners cannot afford to leave their operations for even a moment to drive to the credit union branch. With RDC, check deposits take far less time and effort, and can be done at the member’s convenience, rather than during “banking hours”. Businesses are free to make deposits more quickly and frequently, improving check clearing times and cash flow. RDC also benefits the environment by minimizing wasteful trips to the credit union branch, saving gas, and reducing harmful emissions. Eliminates Geographic Barriers. When competing against much larger banking institutions with branches and ATMs on every corner, electronic services like RDC are ways to even the playing field. Thanks to today’s internet-based technologies, any credit union business member can enjoy the same convenient and speedy account access as with Bank of America. With RDC and other remote banking channels, geography and location are no longer the critical service differentiators they once were. An Opportunity to Earn Additional Fee Income. 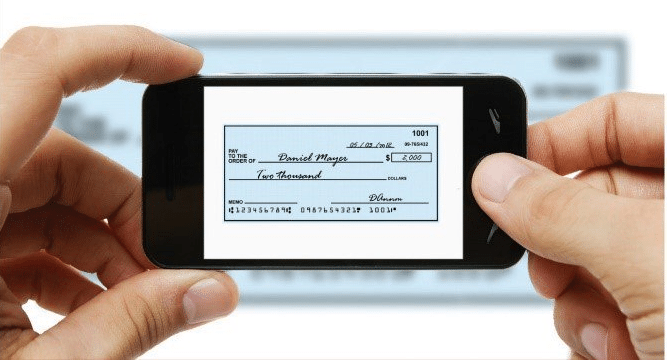 Although free mobile check deposit has become common-place among consumers, the additional features that business clients require means that there are still opportunities to charge for services. Yet high fees may be discouraging commercial clients from adopting feature-rich desktop RDC services. It is important for credit unions to keep the cost factor in mind, particularly as they target down-market into the huge and potentially lucrative SMB sector. By offering mRDC, credit unions build stronger, “stickier”, and ultimately more profitable relationships with their business members. Provides Access to Reams of Member Data. One the most interesting developments in mobile RDC technology over the past few years is its built-in data collection capabilities. For credit unions, the opportunity to mine valuable member data is every bit as important as the payment or check deposit itself. Transactional data contains a treasure trove of information on your member’s behavior, useful both in managing fraud risk as well as highlighting opportunities to provide better service and address your member’s specific business needs. What Are the Key Considerations for Rolling Out RDC? Mobile vs. Scanner: It used to be a simple equation. 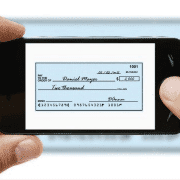 Mobile device check deposit technology was originally designed strictly for consumers or the simplest, low-transaction business use, as one-at-a-time check scanning is too time-consuming and unwieldy for purposes of depositing a heavy volume of checks. However, mobile RDC solutions that meet the needs of commercial and small business members much more effectively have recently been introduced. New features allow businesses to submit multiple checks in a single batch, and can even support multiple users working remotely in the field. Still, mobile RDC is not the right choice for every business. According to industry experts, traditional desktop scanners are still much more effective for high check volumes; say more than 5 or 10 checks at a time. High-volume scanners save business members significant time and a lot of aggravation over snapping one-at-a-time photos on a mobile device. Risk Management: The risk of fraud is one key reason why many financial institutions have waited to roll out an RDC service offering. The threat is real, but recently reported trends have belied many common perceptions of risk. According to RemoteDepositCapture.com’s 2016 State of the Industry report, banks and credit unions surveyed suffer a duplicate check loss rate of just 0.0104% on mobile check deposits. The study also stated that 76% of financial institutions surveyed reported no direct mobile RDC losses, and 92% believe that the benefits of mRDC outweigh the risks and costs of the program. “RDC solutions, when paired with sound risk management policies, actually deliver more data and protections than traditional, paper-based check solutions,” says John Leekley, founder of RemoteDepositCapture.com. With built-in tools such as geolocation and biometric scanners, smart phones are giving banks and credit unions the ability to identify unusual geographic and psychographic patterns, and prevent fraudulent transactions before they occur. For instance, your credit union’s fraud detection department may recognize a mobile device in California depositing a check from a New York-based bank to the account of a member based in Virginia. You now have the opportunity to contact your member to confirm that the transaction is legitimate. Old-school mail deposits provide no way to spot these types of suspicious transactions until it’s too late. Access to Tech Support and Staff Training: Having technical support available is imperative to a successful RDC program. Your business members will undoubtedly have questions and problems will arise. It is important to consider up front whether the credit union or the vendor will provide first-line support. Even if the credit union is the first line of defense, it is a big learning curve for staff, so ensure that you have adequate vendor support and training from the get-go. Such training should go beyond the member contact center and technical areas, however. Credit union branch and business development personnel are the keys to effectively pitching the benefits of RDC to current and prospective business members. Ask yourself these questions before rolling out your RDC service: Who will do the training? 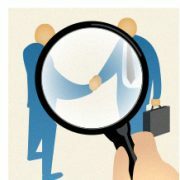 Which credit union department will maintain ownership of the service? How does RDC fit into your credit union’s strategic goals and marketing plan? Gone are the days where RDC is a “nice to have” product. Member expectations have developed to the point where every financial institution must offer at least one, if not several versions of the platform to serve their various target markets. Don’t get left behind in the mobile RDC revolution!